Ok I picked this book up a couple of days ago and I can’t put it down. 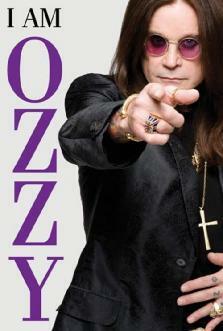 I’ll give you the full scoop on it when I finish, but so far it’s fun, informative and crazy, like Ozzy. This entry was posted on December 31, 2011 by heishort. It was filed under Commentary, Music, Uncategorized and was tagged with Black Sabbath, career, life, Music, Ozzy Osborne.